Ashley and Jason Bartner, proprietors of La Tavola Marche Agriturismo and Cooking School, sends this to warm the cockles of our Christmas season hearts. Bring all ingredients to a low boil & add the sugar. Once the sugar is dissolved - lower flame. Filter or strain. Serve warm & enjoy! 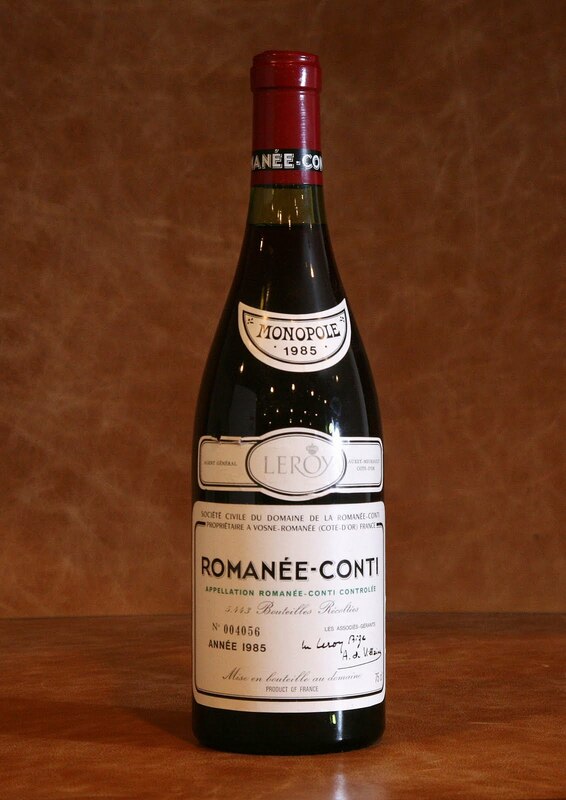 And may this time of joy bring you hopes and memories as bright as the taste of this beverage. Muesli, for many a breakfast treat, was originally created around the turn of the century by Swiss physician Maximilian Bircher-Benner for his patients. 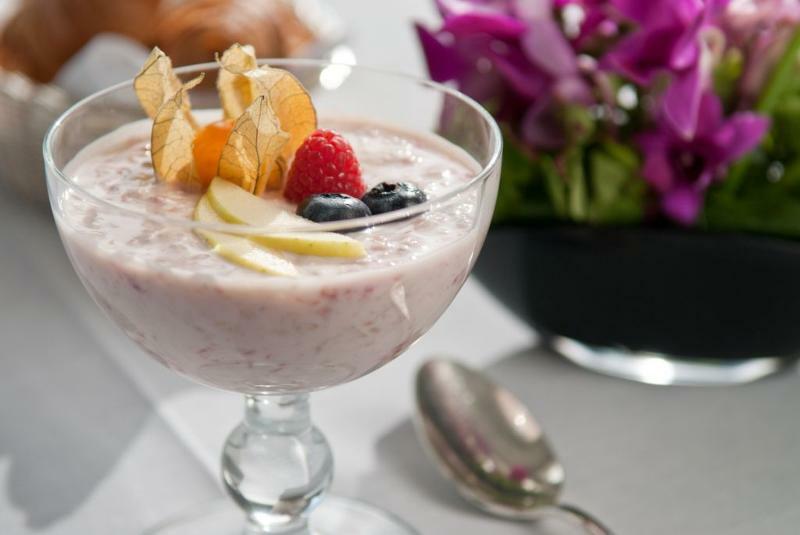 The good doctor must have known what he was doing because muesli is healthy, nutritious and, when served by Zurich's famed Bar au Lac Hotel, delicious as well. 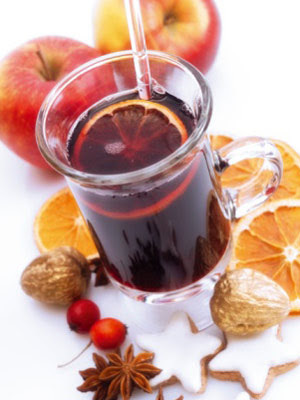 In the season's spirit of giving, the hotel has released its recipe. Mix all ingredients to combine and serve. Even non-cooks can present this to their families. Anyone can stay at a castle but only a lucky few will be able to participate in Seafood Appreciation Week Feb.28-March 6, 2011 at Ireland's impressive Ashford Castle. Located near the seafood-filled western coastline, Ashford was voted "Top Resort in Europe" by readers of Conde Nast Traveler this year. Special two-day packages are available March 1 and 2 and March 4 and 5 during which Executive Chef Stefan Matz will guide participants through an oyster farm, a smokehouse, lobster fishing and a gala seafood dinner. Not all of us have access to fresh Irish seafood so Chef Matz shared his recipe for another special, Beef and Guinness Stew. Combine 4 cups Guinness and 2/3 cups chicken stock. Bring to a boil and reduce mixture down by 1/3. Meanwhile, sauté the shallot until transparent and golden brown (about 5-7 minutes). Add Guinness reduction and 2/3 cup chicken stock, and bring to a boil. Combine 2 teaspoons flour and 2 teaspoons room-temperature butter and add to mixture. Boil until sauce has a creamy consistency. Sauté beef in oil in a very hot frying pan. Season with salt and pepper. 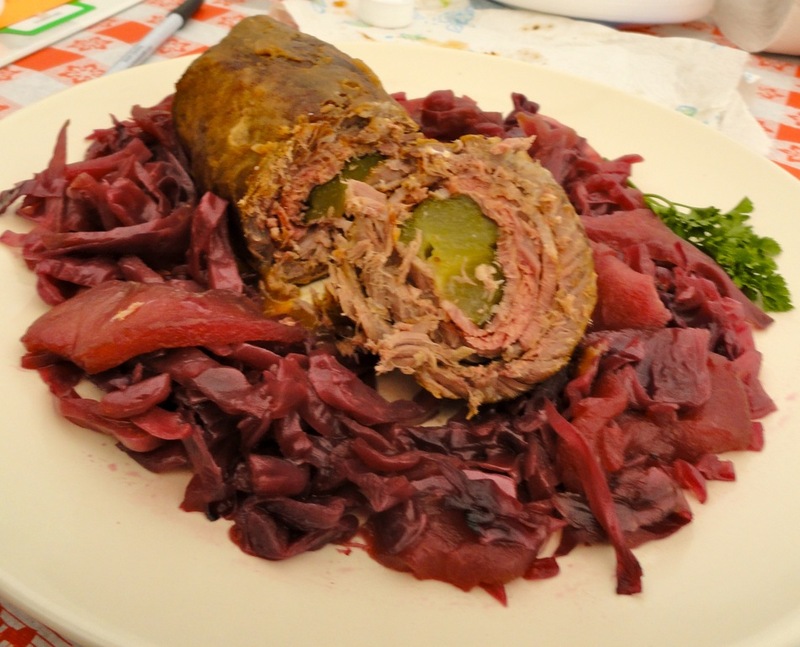 When the beef has a nice color and is cooked to liking, allow to rest for two minutes. Add beef and 1/4 cup Guinness Extra Stout to the Guinness sauce. Reheat, but do not bring to a boil. Season to taste. 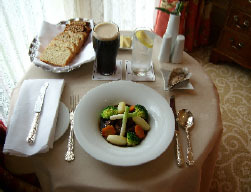 Present in a bowl and garnish with blanched broccoli, carrots and steamed potatoes. Last but not least, says Chef, "serve with a glass of Guinness and a fresh oyster. Enjoy!" Even kitchenphobics find themselves drawn - or forced - to pots, pans and heating elements this time of year. If this describes you, it isn't too late to announce to all that it is time to break out of the family rut and try something new like tofu turkey with liverwurst dressing. You may find guests will volunteer to bring the traditional dishes. That leaves you free to set the table and contribute something else that's easier. If you love the meal-making marathons, consider these recipes. While the turkey cooks, whip this up for the family's breakfast. Take biscuits and cinnamon rolls and cut into small pieces. The easiest way is using some scissors. Place in bowl add honey, nuts and cinnamon sugar. Mix well. Pour dough mixture In a well-greased bundt or angel food cake pan. Place cake pan in a larger pan with two inches of water (this will stop the honey from burning). Cook for 45 minutes-1 hour at 350. Run knife around edges of pan and invert on a platter. No one bringing the sweet potatoes? Leave the masher in the drawer and try this version. Wash, peel and cut the sweet potatoes in larger cubes, inch by inch. [Start cutting them small, you'll wind up with bigger ones without thinking] Cook the potatoes in lightly salted water for 15 minutes. Drain well and place hot potatoes in a small to medium sized casserole dish. Place frozen raspberries evenly on top. Cut the apples into 1/2 inch cubes and toss with lemon or orange juice so they won't turn brown. Place evenly on top. Melt butter and drizzle over entire dish. Sprinkle as you like with cinnamon sugar and brown sugar. Bake for 20 minutes covered. 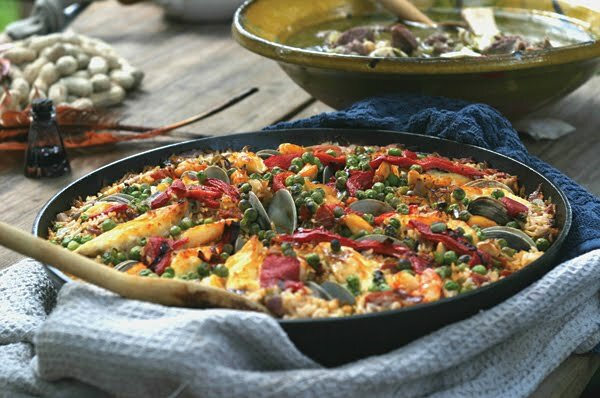 Family okay with a non-traditional main dish? Try this for something different. Rub the pork loin with salt and pepper, then sear over high heat in the pan in which it will be roasted in. Add all the chopped vegetables then roast in oven for at least two hours, adding liquid as needed during the braise. Once the pork loin is fork-tender remove from the oven. Bring sauerkraut up to heat over a medium fire on the stove top. Place sauerkraut on a large platter, slice pork and lay over top. Spoon vegetables and braising liquid over top of pork then serve. Everyone has favorite Thanksgiving dishes but if you don't slip a new recipe into the lineup you'll never know if it could be the next favorite. The chefs at Xanterra resorts have offered a few for your consideration. Wash all of the produce and preheat oven to 375 degrees. Cut squash into halves and take seeds out (Chef's note: I prefer to use an ice cream scoop to get my seeds out, it's very sturdy and keeps all the seeds together). Oil the halves, sprinkle with salt and pepper, place on a sprayed sheet pan skin side up. Roast until the skin blisters and browns, about 30 to 40 minutes. Mix together dry ingredients, add 5 oz. cold water and stir until smooth. Use to thicken soup when boiling.Season with Tabasco to taste. Saute all vegetables in a large saucepan over medium heat until tender. Add chicken stock and cream; bring to a slow boil. Add the cornstarch mixture. Garnish with julienne fried tortillas and shredded asiago cheese. Place chopped pancetta or bacon in a very hot medium saucepan and cook until almost crispy. Add oil and butter and the onions. Stir occasionally so the onion caramelizes slightly. Scrape the pan occasionally, too. Add sugar and stir for about 3 minutes or more. Add half the stock and bring to a boil, reducing to almost no liquid. Add the rest of the stock, tomatoes and basil. Stir and season to taste. Cook for about 20 minutes. Serve immediately or set aside and serve later. When ready, place a good portion of crouton in bowls. Add soup and sprinkle with cheese. The chefs of Xanterra, the outfit that manages the resorts and lodges at many of our nation's favorite parks, have offered their tips and even better, recipes for cooking and enjoying this holiday for grateful gluttons. I'll start with the tips today and follow later with some not so traditional recipes. 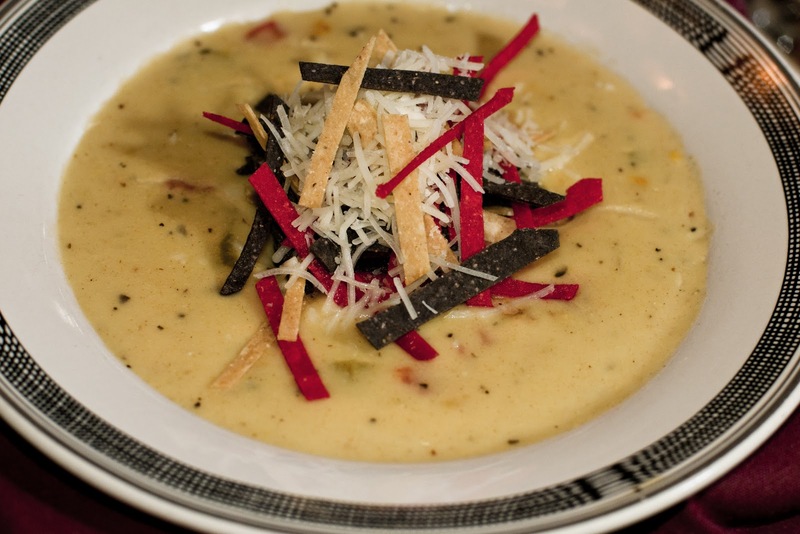 "Soup always tastes better on the second day so go ahead and make it the day before Thanksgiving," says Mat McTigue, executive chef at the Grand Canyon. "Pull out and wash your china and silver several days before Thanksgiving." Kenneth Diederich, regional executive chef, Salt Fork State Park Lodge, Ohio. If using a frozen turkey, take it out of the freezer at least a week in advance [note: keep it in the fridge]. 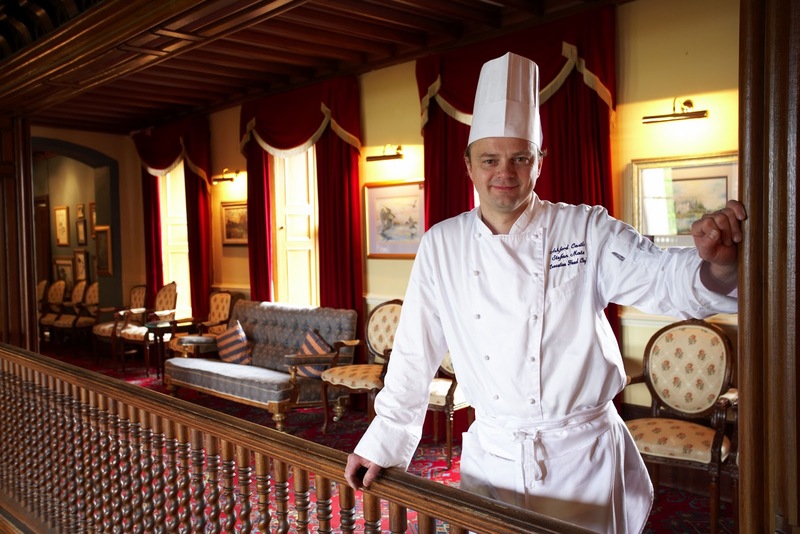 If you are into all things natural and organic, choose a fresh Heritage turkey, advises Chef Peter Pahk, senior executive chef at Kingsmill Resort. This is not for procrastinators: you must have your Thanksgiving orders in by June. Chef Michelle "Mike" Hanson at Furnace Creek Resort, Death Valley National Park, makes her family a breakfast casserole "so the family has something to eat for breakfast and isn't picking at all the stuff I'm making for dinner." Have plenty of food storage containers on hand before the feast and clean out your refrigerator before shopping. Consider asking guests to bring a dish. "I am a big fan of potluck," said Chef Pahk. 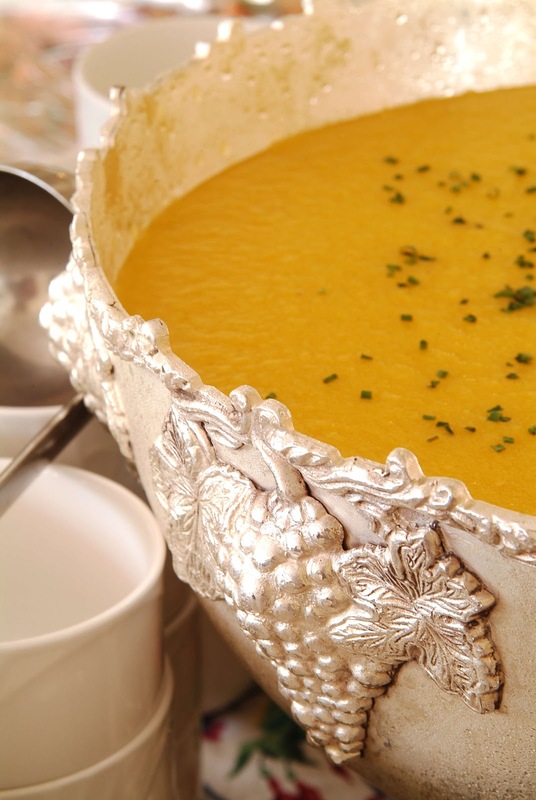 "It makes it easier on the host and guests get to show off their own Thanksgiving specialties." Chef Mike sets out the food buffet style. If you are still daunted by feeding friends and family, consider the advice from Chef Diederich. "Go to someone else's house so you don't have a mess to clean up. And be sure to take along plenty of good storage containers." Whether you'd rather do it yourself or are lucky enough to have a generous hostess [Thank you, cousin Gloria], the next post will have some recipes for the gobbling day. Food writer Belinda Hulin grew up in Cajun country where her relatives whipped up memorable meals. When Hurricane Katrina hit, destroying or seriously damaging those families' homes, she realized a lot more than property was at risk. The blueprints for an entire way of life - recipes - were about to be lost. Finding a box of her mother's recipes atop a newel post in the inundated house was a blessing and an impetus to collect those and many more for future generations and for many families who weren't as fortunate. The result, Roux Memories, A Cajun-Creole Love Story with Recipes, is the kind of cookbook you read cover to cover. Part memoir, part reference book for Louisianans, it is filled with love and mouth-watering recipes. Most of us have cookbooks we never use, but try to make room on the shelf for this one. Bet you can't resist trying a recipe or three. Belinda graciously said "Yes," when I asked to share a recipe or two with you. Having scarfed down more than my share of her red beans and rice on numerous occasions, I've chosen it and included Belinda's introduction from the book to give you a sample of her infectious style of story-telling. 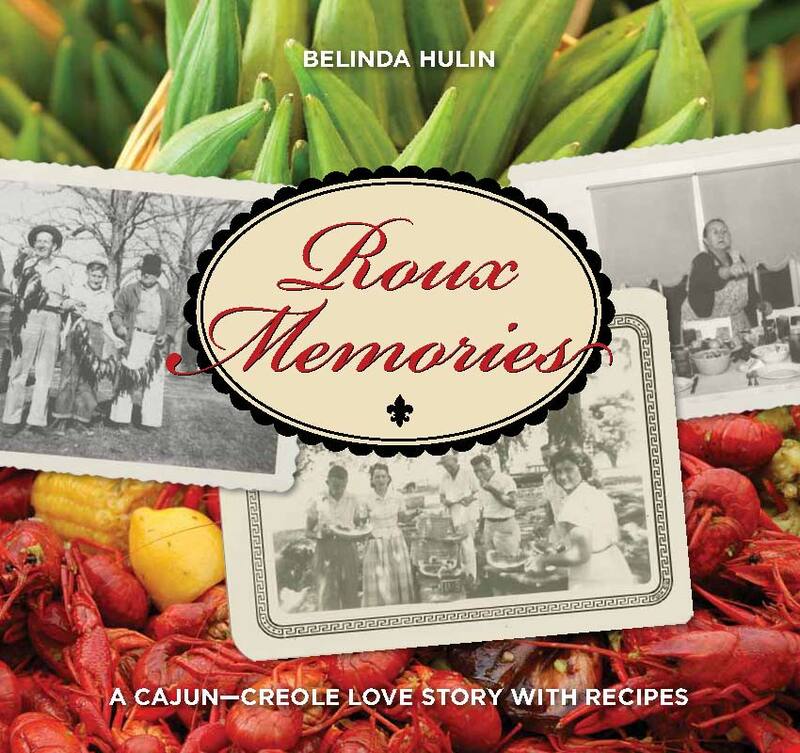 Before that, though, here's the info you will need to get your own copy of Roux Memories, A Cajun-Creole Love Story with Recipes: Lyons Press, $19.95 USA/$21.95 Canadian; available online at Amazon.com and local bookstores. The Fraziers lived next door to my parents in an apartment building at the corner of Eagle and Palm Streets, back when my father was getting his master's degree at Tulane. At that time the area was populated by young families and working-class folks, who could catch a bus downtown with only a short stroll. Mrs. Frazier was the first real New Orleanian I knew, and unlike the gentile Uptown types I met at Dad's graduate assistant job, she was loud, brash, and funny, and she had a heart the size of Lake Pontchartrain. Whenever I told her about my plans for the future (to have a horse farm, become famous, marry a prince), she'd laugh and say, "You have a lot of red beans and rice to eat yet." Since Mrs. Frazier followed the old New Orleans custom of cooking red beans on washday Mondays, I had plenty of opportunities to start my march toward life's realities while sitting at her table. Rinse beans very well and discard any discolored or damaged beans. Put beans in a large bowl and add enough cold water to cover by several inches. Let soak 8 hours or overnight, adding more water if needed. Drain the beans in a colander. Place the oil in a heay Dutch oven or soup pot over medium-high heat. Add the sausage and cook 3 minutes. Add the onions, bell pepper, celery and garlic. Saute mixture 5 minutes. Add bay leaves, thyme, Tabasco and cayenne. Stir the beans into the pot, along with broth or water. Bring mixture to a boil. Reduce heat to medium-low. Simmer beans for 2 1/2 hours, stirring often and adding more water or broth as needed. Stir in lemon juice or wine vinegar, green onions and parsley. Add salt and pepper to taste. Serve over steamed rice and pass the Tabasco. We didn't think any dish could top the bread pudding, but after all that meat, the fresh, true fruit flavor of this really bit the spot. The fact that we were in the heart of South Carolina's peach-producing counties didn't hurt. For all I knew, they used fresh picked peaches from Titan Farms, probably the premier producer. In another large bowl, combine flour, 1/3 cup sugar, baking powder and salt. Using a pastry blender or two knives cut in cold butter and continue until the mixture resembles coarse meal. Mix the egg and whipping cream together and add to the flour mixture. Mix only until dough is moistened and comes together in a ball. Do not overwork the dough. Reserve leftover egg mixture. Pour fruit mixture into the prepared Dutch oven. Turn out dough on a floured surface and pat it with your hands in to a round circle big enough to cover the Dutch oven. Carefully lift the dough onto the fruit and gently pat into place. Cut a few decorative vent holes on top. Brush a little of the egg mixture on top and sprinkle with sugar and/or cinnamon if desired. Dessert category winning teams, from left, first, second and third place. Bake at 375-400 degrees (about 16 coals) for 45-60 minutes or until cobbler topping is light golden brown and juices start to bubble up through the holes. Remove cobbler from coals and cool until ready to eat. DO NOT eat directly from the Dutch oven! It is VERY hot and can burn the roof of your mouth. Serving suggestion: Serve with ice cream, whipped topping or fresh whipped cream and garnish with fruit and/or mint leaf. Coconut Cream Bread Pudding. With its melt in your mouth texture and dreamy coconut flavor, this five-star comfort food was a hit. We judges wished we had room for a full helping. This is one I will make at home. Hope you will, too. Preheat Dutch oven to 350 degrees. Beat cream cheese at low speed with mixer until creamy. Add 1 cup sugar and eggs and beat until sugar is dissolved. Stir in 2 cups milk, 1 cup cream of coconut and 3 tablespoons of melted butter. Pour over bread cubes and let stand for a few minutes. Prepare a Dutch oven for baking. Pour mixture into dish. Bake at 350 degrees for 30 minutes or until set. Stir together flaked coconut, pecans and 3 tablespoons melted butter. Sprinkle coconut mixture over baked pudding and bake 5 more minutes or until browned. Cook remaining ½ cup sugar in a heavy pan over low heat. Stir constantly until sugar melts and turns into a brown liquid. Stir the remaining ½ cup milk and ½ cup cream of coconut together and pour into the melted sugar. Stir until sugar and liquid mixes well. Stir in the remaining 2 tablespoons butter. Serve the caramelized sugar sauce over the pudding. Delicious beginnings deserve a suitably sweet ending and although the entries were few, each one in the dessert category at the South Carolina Campground Cookoff was a winner. Taking third place was the Team Latimers “Pit” Crew Fruit Cake Stick, a fun, light, simple but satisfying finish to an al fresco meal. It's one younger campers can put together, too. Stir water and sugar together over medium heat on grill for a light syrup. Alternate fruit with cake on skewer. Add a cherry to top of each skewer. Lay on hot, clean grill. 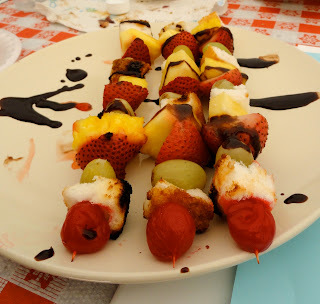 Sprinkle syrup mixture over the fruit as you turn skewer. Take skewer off of grill and drizzle with melted chocolate. Enjoy! won over our taste buds and our hearts. However, as you'll see, the Smarrs left out measurements but it shouldn't be too hard to figure out. Even the errors in the trial and error process should be delicious. Rub rack of lamb with herbs and spices (measurements to taste preference). Brown both sides of lamb over hot coals. Place on baking rack inside aluminum pan with about an inch of white wine. Cook indirectly over coals and close grill. Cook at medium temperature until preferred doneness. Let rest for about 10 minutes and then cut into chops and serve. Cook bacon in cast iron Dutch oven over hot coals. Remove bacon and set aside. Add several pats of butter to bacon grease and sauté chopped jalapenos, onions and garlic. Add water, salt and pepper and bring to a boil. Add grits to water and cover. Add a few coals on top of lid and let cook, stirring occasionally, until thickened to desired consistency. Stir in crumbled bacon. Garnish with green onions and finely grated Parmesan cheese and serve. NOTE: So sorry for the gap in posts - I've been in Germany and the Internet gods decided none of the equipment I hauled along should work properly. 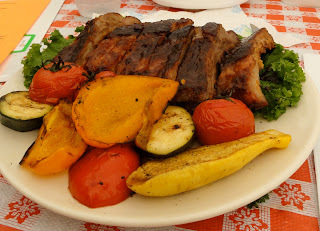 Not all visitors to Deer Valley complex in Park City, Utah, want stick-to-your-ribs carbohydrates. For them, Clark Norris, executive chef at Silver Lake, created this satisfying salad for diners at Mariposa. Buratta inspired Chef Clark to develop this Caprese style salad. "The individual portion of Buratta preserves its 'stuffed' nature, allowing the guest to cut through the firm outer mozzarella 'shell' and release the creamy fresh mozzarella center to mingle with the rest of the salad," says chef. The result? In Chef Clark's words, "Caprese Nirvana!" 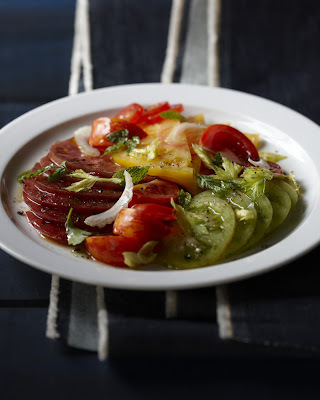 Place halved tomatoes into a mixing bowl and dress with 2 oz. olive oil, 1/4 tsp. salt and a pinch of ground pepper. Divide dressed tomatoes onto four 10-inch plates, placing tomatoes in a ring that leaves a 1-inch circular margin between the rim of the plate. In a mixing bowl, dress the basil and arugula. tossing with 1 oz. olive oil and a pinch of salt and pepper, to taste. 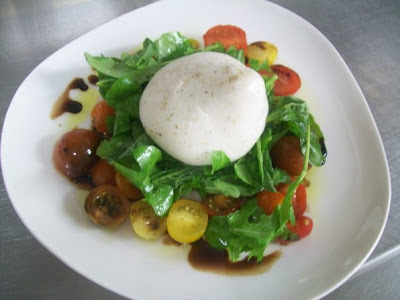 Place dressed basil and arugula inside the ring of tomatoes, hollowing center slightly if necessary so you can place a seasoned ball of Buratta on top without its rolling off. Garnish with a drizzle of olive oil (1-2 oz.) 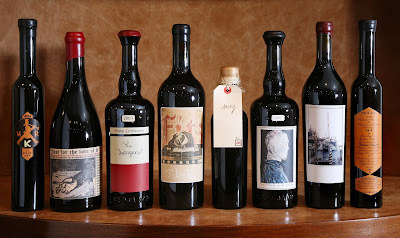 and aged balsamic vinegar (1 TBS.) to taste, around the edge of the plate inside the 1-inch margin. Finish each salad with a squeeze of fresh lemon, one wedge's worth, over the cheese, greens and tomatoes. Pickled shrimp used to be a prime, special event offering from Southern cooks with as many versions as there were cooks, but you don't often encounter this once popular appetizer any more, which is a shame. This recipe from Chef Quita Michel of Holly Hill Inn in Midway, KY, via The Woodford Reserve Culinary Cocktail Tour cook book, just might reverse that trend. Peel and de-vein the fresh shrimp. Combine the shrimp, salt and enough water to generously cover in a large saucepan. Steam or gently simmer for 3 to 5 minutes or just until shrimp turn pink and are cooked through. If using frozen shrimp, just thaw. Layer shrimp and onions alternately in a nonreactive pan. Whisk the oil, lemon juice, vinegar, sugar, bay leaves, peppercorns, dill seeds, celery salt, dry mustard, cayenne pepper and tarragon in a saucepan and bring to a simmer. Continue simmering for 10 minutes. Remove from the heat and cool slightly. 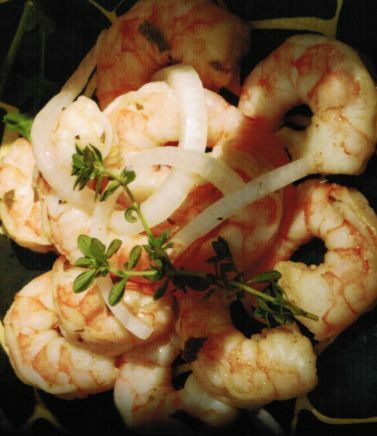 Pour the warm marinade over the shrimp and onions and let stand until cool. Marinate, covered, in the refrigerator for 4 to 48 hours (the longer the better), stirring occasionally. Discard the bay leaves and marinade before serving. 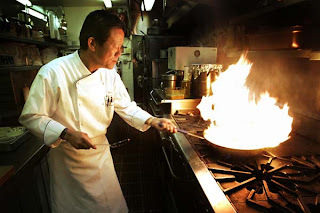 NOTE: To find out more about Chef Ouita, Lexington and the Bluegrass area of Kentucky check the August posts at my other site, Travel on the Level. Must tell you about two irresistible gourmet opportunities. First up, Chef Laurie Erickson is holding two cook-in sessions for select groups of guests at Little St. Simons Island, GA, Aug. 27-29 and again Sept. 22-24. The first night (guests depart St. Simons Island for LSSI at 4:30 p.m.) she cooks for you; the second she cooks with you, harvesting vegetables and herbs from the Island's USDA Certified Organic Garden and preparing dinner of fish and perhaps crabs that were caught that morning by you and the naturalists. 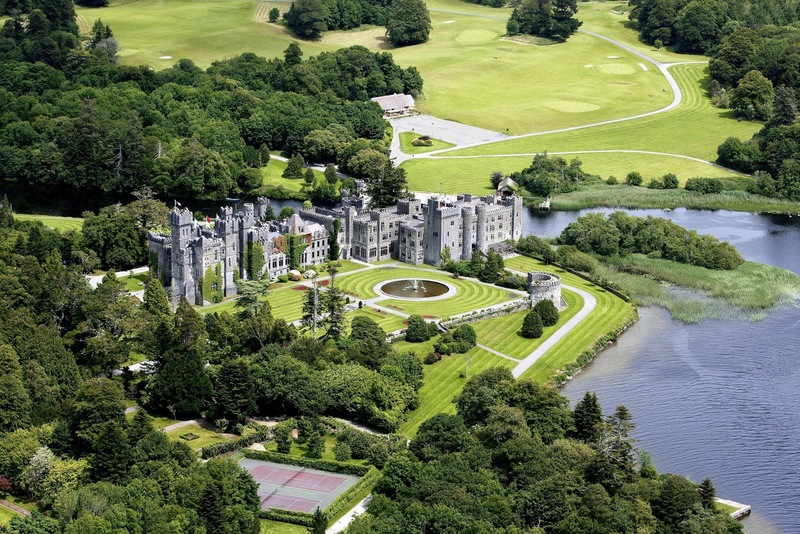 It sounds like a fun and memorable experience at one of the world's most relaxing getaways. Cost, $389 per couple per night, includes transportation to and from the island, accommodations, a gift, all meals and beverages and all cooking and island activities. Go to www.littlestsimonsisland.com or call 866-855-0718 for details. 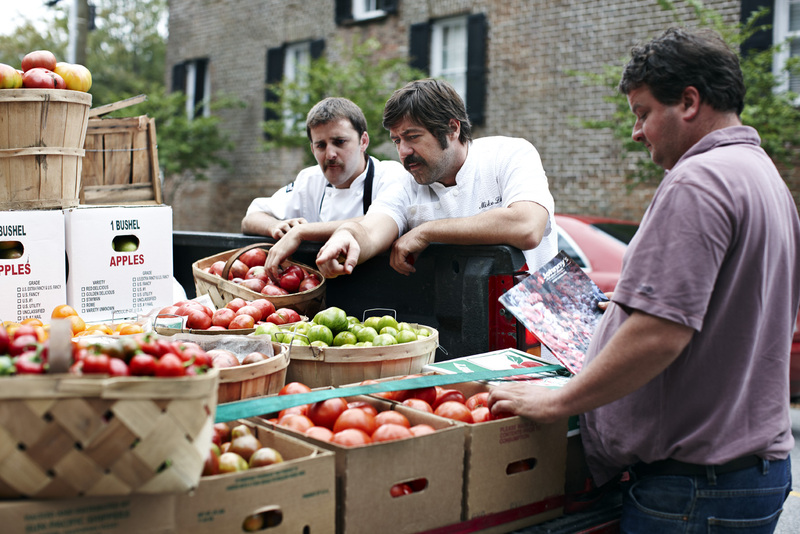 At Cookin' in the Bluegrass: a Celebrity Chef Dinner series all the preparation - and how! - will be done for you by 48 chefs during the Alltech FEI World Equestrian Games in Lexington, KY, Sept. 25 through Oct. 10. Working with the James Beard Foundation, organizers have put together once-in-a-lifetime dining experiences. On each of the 16 nights, 75-80 guests will gather at the Kentucky Horse Park's historic Farmhouse restaurant for meals and wine pairings worthy of James Beard House. The best regional chefs will pair with notable chefs from around the country to prepare the best and freshest of regional ingredients. And what pairings; for example, Jonathan Lundy (I recently featured his shrimp and grits recipe) cooks with Michael Schwartz of Michael's Genuine Food & Drink in Miami and Traci Des Jardins of Jardiniere in San Francisco. Eric Fowler from Dudley's cooks with Marc Vetri of Vetri in Philadelphia and Tim Byrnes of Smoke in Dallas. Tickets are $300 per person and you can find out all the details, from chef and wine pairings to menus by clicking around www.alltechfeigames.com. Southern cooks are known for finding more than one way to use an ingredient, especially one as revered as Kentucky bourbon. Every distillery along the Bourbon Trail has its own series of recipes, but it's hard to beat those of Woodford Reserve in Versailles, KY.
Long a proponent of matching beverage with food, Woodford has encouraged and supported the area's best chefs in creating recipes using its bourbon as an ingredient. Invitations to a dinner at the distillery are highly coveted and I was fortunate enough to experience why. 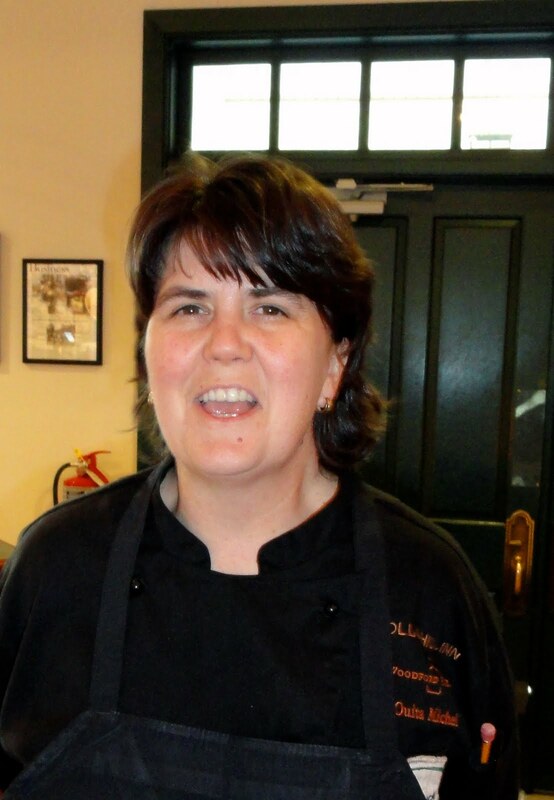 Chef Ouita Michel, who with her husband Chris established the elegant Holly Hill Inn and wildly popular Wallace Station Deli & Bakery in Midway, has become Woodford's go-to gal for spectacularly good food. Following model Southern hospitality, I'll start with Chef Ouita's recipe for an adult refresher, a grand prize winner perfect for sitting and rocking and sipping on a big porch or a tiny backyard patio. Combine the water, tea bag, sugar and two sprigs of mint in a small saucepan. Simmer over low heat until the sugar dissolves, stirring occasionally. Remove from the heat and let steep for 10 minutes. Discard the tea bag and mint and stir in the bourbon, orange juice, lemon juice and Lillet. Pour over ice in two large ice tea glasses and garnish with the remaining two sprigs of mint. Rocking chairs and lightning bugs are optional. NOTE: To find out more about the chefs and other attractions in Lexington and the Bluegrass area of Kentucky check the August posts at my other site, Travel on the Level.